Getting the right selection of Daycare is most important for growth of a child. 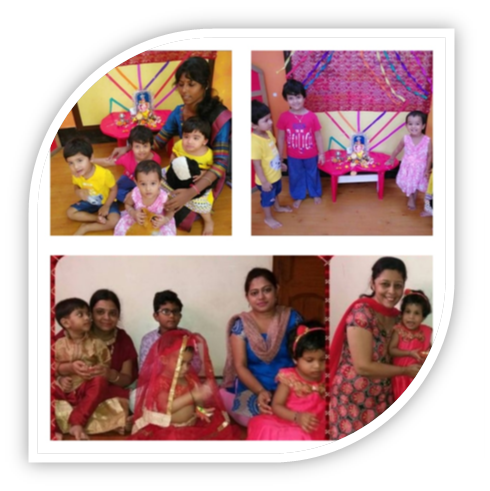 Our Package comprises of complete turnkey solution for setting up state of art Day Care / Crèche. • Crèche setup with an end to end curriculum solution. • Howard Gardener’s Multiple Intelligence. • John Dewey’s Thematic Approach. We offer one of the best updated curriculum to run creche , hobby classes and pre school. After School has complete knowhow to set up Daycare and crèche service facilities, which guarantees overall development & improvement of the child. 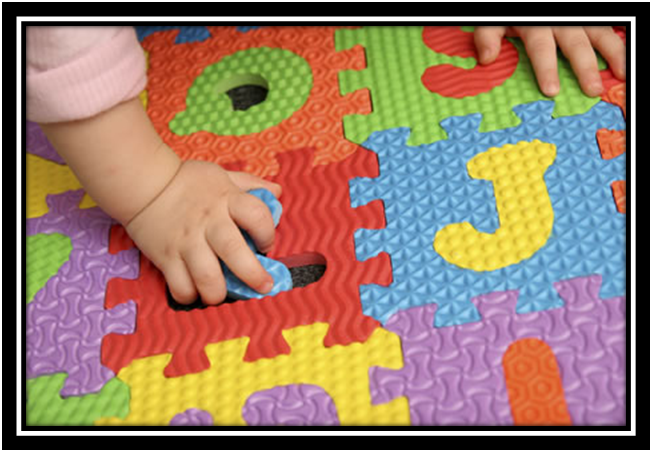 We give complete guidance to set up and run the day care / crèche for the corporate houses. After School has over a decade of experience. In running a quality day care center one needs state of art infra structure set where children feel safe and secured. All the staff deployed by After School is Montessori trained. We ensure all staff deployed are caring and children feel at home. Staff takes special care to nurture children. 1) The facility should be extended to children within the age group of 90 days to 10 years. 2) A minimum of 5 children in the above age group is required for a crèche to be set up. 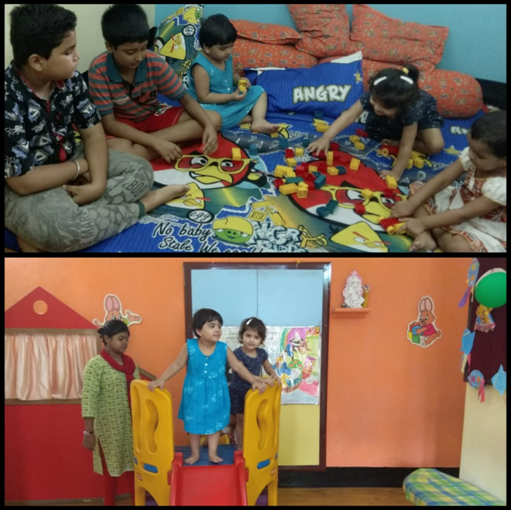 3) The space specified per child is 6-8 sq feet so that they have sufficient room to play, rest and study without any disturbances. 4) Sanitation should be clean, hygienic and well maintained at all times. 5) Educational as well as play material have to be made available as per the needs of the children. 6) First aid with medicines for common ailments have to be made available. 7) The caretaker of the children should have completed the crèche training program from a recognized institution. The Maternity Benefit Act was amended to provide crèche facilities in the Establishments employing 50 or more employees. How is your curriculum better than others? Our curriculum is designed adapting the best practices from Maria Montessori, Howard Gardener’s Multiple Intelligences, Benjamin Bloom’s – Bloom’s Taxonomy and John Dewey’s thematic approach. Can you help me understand your curriculum? Our training programme which is designed for 5-7 days would help you get equipped with our approach and methodology ensuring implementation of the curriculum is smooth. Why should we opt for your solution? Our solution provides you with a wide range of aspects that ensures you are all set to start the day care / crèche. 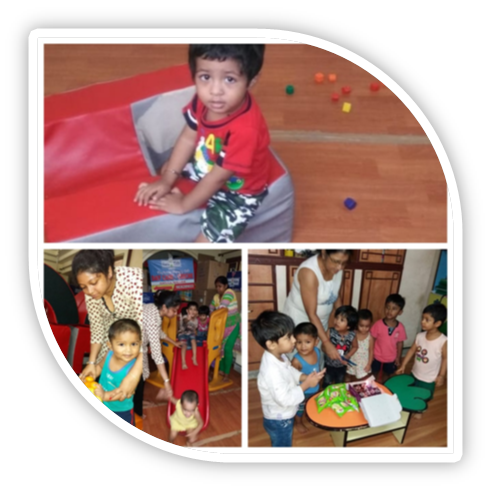 We provide Materials, curriculum, marketing support, recruitment, training teachers, setting up of the crèche, day-to-day working of the crèche, staff to run the crèche. What all does your package include? The package includes, Curriculum, Educational Materials, Work Books, Work sheets, Diary, Teacher planner, Videos, Laptop, Music system, Rhymes & Songs CD’s, Furniture, Play equipments, Support on Branding & Marketing. (Monday to Friday) / 9:00 A.M. - 7:00 P.M.
*Monthly payment options available for Day care program with food. 1. Full Day: 9:00 A.M. - 7 P.M.
2. 1st Half Day: 9:00 A.M. - 12 A.M.
3. 2nd Half Day: 1:00 P.M. – 4 P.M.
4. Evening: 4:00 P.M. – 7:00 P.M.